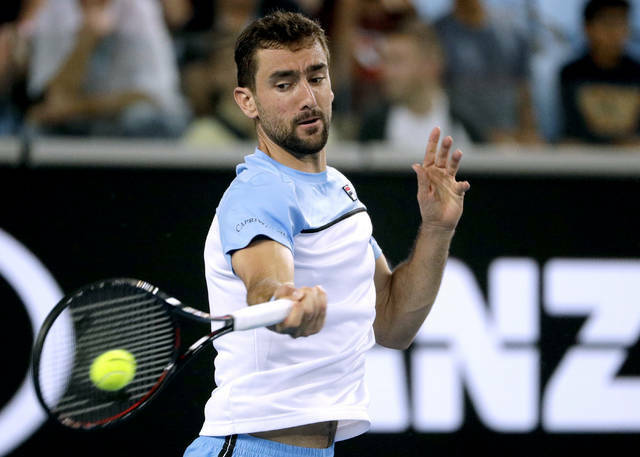 Marin Cilic, last year’s runner-up at the Australian Open, has forced a fifth set in his third-round match against Fernando Verdasco, who wasted two match points. The sixth-seeded Cilic erased Verdasco’s first match point, at 7-6 in the tiebreaker, with a service winner. Verdasco’s second opportunity to end it came at 8-7, but he double-faulted. The crowd sang “Happy Birthday” as she left the court. Chair umpire Carlos Ramos gave Rafael Nadal a gentle reminder late in the Spanish left-hander’s win over Alex de Minaur at Melbourne Park that he’s still the man in charge. Ramos, who was also in the chair for Serena Williams’ U.S. Open final loss to Naomi Osaka last year, gave Nadal a time warning on his sixth match point on Friday night on Rod Laver Arena. Rafael Nadal has 19-year-old Australian Alex de Minaur’s number — or numbers, really, and they are 6-1, 6-2, 6-4. Nadal’s victory over de Minaur in the third round of the Australian Open came by that score, as did the 17-major champion’s win when the two met at Wimbledon last year. It was Nadal’s third match in a row against an Australian, having beaten James Duckworth and Matthew Ebden in the first two rounds. “Even playing against an Australian like Alex, I feel like the crowd — some part of the crowd — is with me,” said Nadal, the 2009 Australian Open champion. There was a cheeky moment during the first set of Roger Federer’s match against Taylor Fritz at Rod Laver Arena when the cameras panned to the 20-time major winner’s box and found one of his twin sons poking his finger into the air-inflated right cheek of coach Ivan Ljubicic . “I did not even know he was going to come to the stadium,” Federer said about his son, Lenny. Federer said “back in the day,” he played in front of his parents, then friends, famous people, and now it has gone full circle. Sharapova broke Wozniacki’s serve in the seventh game of the third set with a forehand to the open corner, then dropped both arms and screamed in delight. She held serve in the next game to lead 5-3, then broke Wozniacki’s service again in the last game, clinching the match on her second match point when Wozniacki’s backhand return went wide. Five-time major winner Sharapova, the 2008 Australian Open winner, will play Australia’s Ash Barty in the fourth round. Nick Kyrgios’ form on court has slumped and he’s been part of an ongoing controversy swirling in Australian men’s tennis . But he has a fan in Roger Federer. Kyrgios was beaten in straight sets by Milos Raonic in the first round, then lost in doubles. So on Friday he was in the telecast booth during Federer’s win over American Taylor Fritz. “Look, I like Nick,” Federer said after his win over Fritz. “I like the way he plays and all that. The 17-year-old American is the youngest player still in contention in the women’s draw at Melbourne Park and has dropped just seven games against seeded players in the last two rounds. She broke Sabalenka’s serve four times in the 65-minute match and fended off the only break point she faced. Sabalenka won the title at Shenzhen to start the season and reached the fourth round at last year’s U.S. Open. Barty will play either Maria Sharapova or defending champion Caroline Wozniacki in the next round. 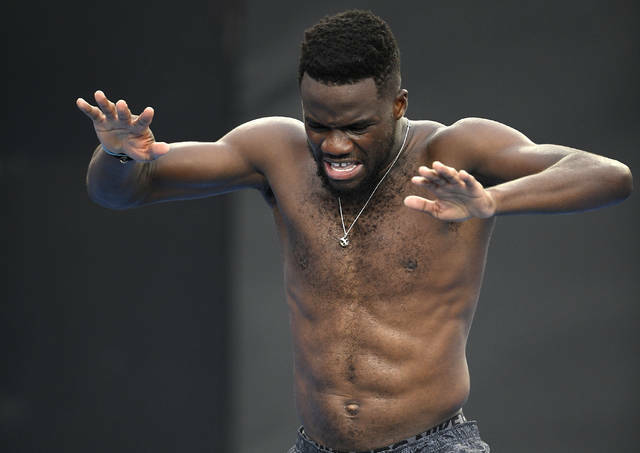 They play their third-round match later Friday at Rod Laver Arena, with defending men’s champion Roger Federer’s match against American Taylor Fritz in between. Caroline Wozniacki will have her most daunting challenge in defense of her Australian Open women’s singles title when she takes on five-time Grand Slam champion Maria Sharapova in the third round at Melbourne Park on Friday. The two haven’t played since 2015 when Sharapova finished the year ranked fourth and Wozniacki was 17th. Now Wozniacki is seeded third here and Sharapova is 30th. The match preceding that one on Rod Laver Arena will see defending men’s singles champion Roger Federer take on American Fritz Taylor. 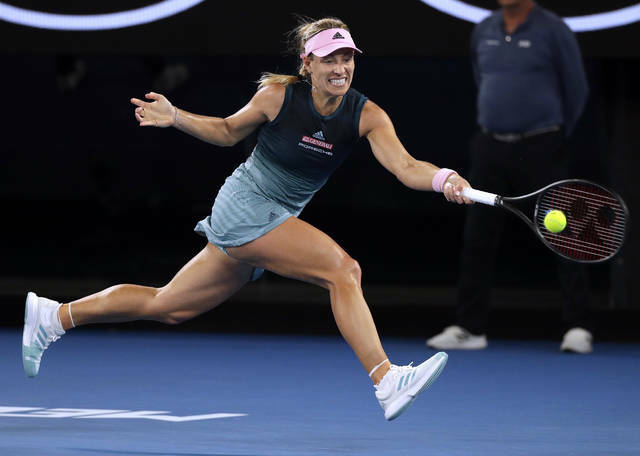 Rafael Nadal opens night play on the same court against Australian Alex de Minaur, followed by 2016 champion Angelique Kerber’s match against Australian wild-card entry Kimberly Birrell.